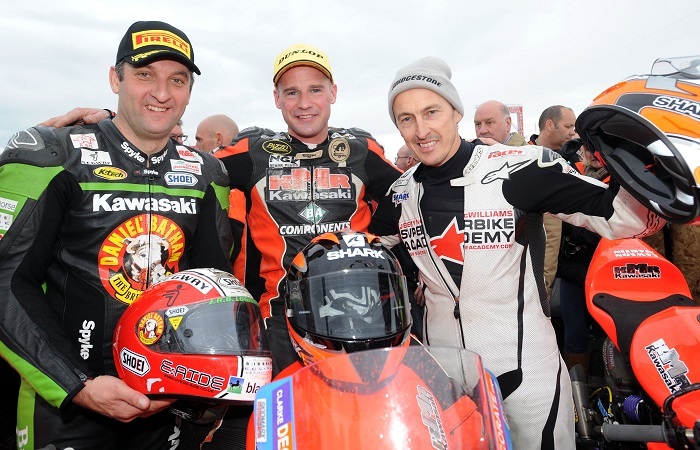 13 times Vauxhall International North West 200 winner, Michael Rutter will replace Hudson Kennaugh on Ryan Farquhar’s IEG/KMR Kawasaki in the Supertwin races at next week’s event. Kennaugh, who was a podium finisher on the bike at the Enkalon Trophy race at Bishopscourt last month, had been set to ride the ER6 Kawasaki in the Twins race at Portrush alongside outings on Farquhar’s Superstock and Superbikes. The South African withdrew his NW200 entry this week and veteran Rutter has been recruited to ride alongside Lee Johnston on another NI Air Ambulance liveried KMR Kawasaki for the Dungannon based team. “Hudson rang me and said he wasn’t racing at the North West.” Farquhar explained. “I have put a big effort into the bikes for this year.” the former racer explained.